and hell yeah i want that sequential gearbox. the sound it makes while downshifting is just EPIC. 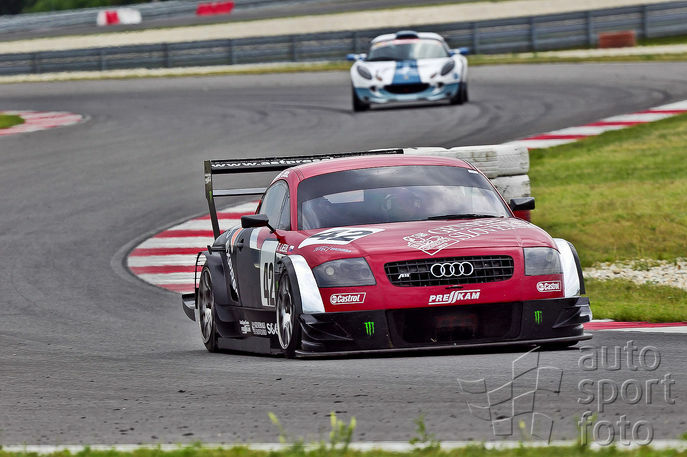 The driver is Tomas Liedl, driving the Slovakia Ring in a DTM-spec Audi TT-R. I am guessing this is one of the original DTM TT-Rs that used to race in the DTM Series, having their careers continue…..this is what it looks like now, as opposed to the older Red/Silver Sport livery OR the Yellow Playstation livery. There was also the blue Red Bull livery back in the day. This race is from 08/21/2011.